Almost one year ago, we predicted, correctly, the inevitable bankruptcy of some large corporations in 2009 (Old Article). As the highly volatile market of 2009 is slowly fading into the “Reconstruction” era model of 2010, consumer spending has slowly been realigned from the “wants” to “needs.” Although confidence has gone up slightly from last year’s holiday season, more and more Americans are finding out that the green linings in their wallet have disappeared. Recent economic data points to market stability and a push into the recovery phase by the second quarter of 2010. Less businesses went bankrupt in the last 12 months than 2008, mostly due to government intervention, which saved insurance giant AIG (one of the companies were predicted would fizzle to death in our last issue) and the car businesses (also predicted, Ford and GM). However, this year, the Feds are under more pressure to stop wasting hard earned tax money and focus more on employment, social security, and the health care reform bill. This means that many companies will still keep going bankrupt, as Uncle’s Sam safety net has become increasingly porous. Also, credit is still dried up, the dollar is losing its value, and more banks are being closed (banks in 4 different states were taken over by the FDIC today). 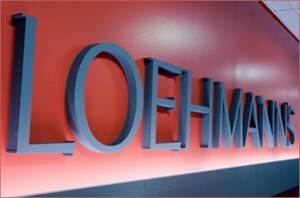 Loehmann’s has declared bankruptcy protection twice, once in 1989 and in 1999. They have very low market visibility and are losing their fight to big time discount dress store Ross, who is making big gains in the sector. Lookout for big changes in the company structure to avoid Bankruptcy- if it isn’t too late. We keep picking against these guys, yet they keep on surviving. The video rental company had a horrible third quarter (although ALL their quarters are equally awful). Revenue for this period of 2009 was $910.5 million, down from $1.16 billion for the same quarter a year ago. The firm’s net loss was $114 million compared to a $19 million loss in the same period in 2008. Blockbuster has only $141 million in cash and cash equivalents. 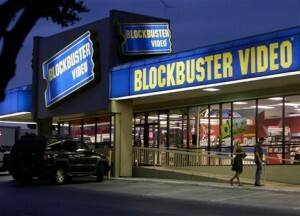 No one has figured out what to do with Blockbuster. 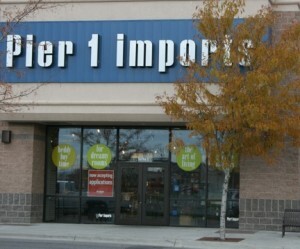 The company has 3,662 stores in the US and 1,703 overseas. These guys are really in trouble- their launching of Pixi was supposed to propel them to great revenue, but facing the fiery marketing of Verizon’s Motorola Droid and newer model sets from Nokia. Stocks have plummet from a 52- year high of $18 to an investor target of $10-11 based on earnings (almost a 60% drop). These guys are in big trouble and need to move past Sprint to get anything done. Has 8,000 jobs now lost and things will get even worst and Could be potentially bought out by the end of 2009. While both Verizon (NYSE: VZ) and AT&T (NYSE: T) increased the number of subscribers in the third quarter, Sprint Nextel, like T-Mobile, saw its subscriber count drop. Regardless of gains in the prepaid space, many argue that Sprint still has to stop the bleeding on the postpaid end. Sprint’s balance sheet is stacked with debt and it continues to invest money in Clearwire (Nasdaq: CLWR), which it is relying on for its 4G expansion. 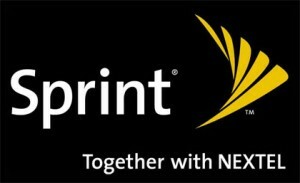 Sprint will be in trouble this year. Hertz is loaded with debt from financing their cars and increased interest rates will not be helping. It’s employees are underpaid and job confidence is down- they went on strike recently. Although stocks are up from their low of $2, demand for business is decreasing- Americans traveled less and spend less money on cars. Consumers are staying away from department stores and the quality of products in Macy’s has been suffering more and more. Same store sales will likely keep falling at Macy’s right through 2009. 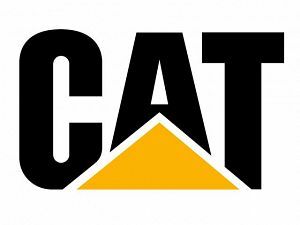 With $2.4 billion of maturing debt over the next five years, the company is trying to cut costs, and has already reduced its dividend. 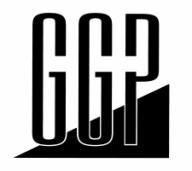 Mall owner General Growth Properties Inc. (GGWPQ) will ask a New York bankruptcy judge to sign off on a reorganization plan to restructure some $9.7 billion in mortgage loans. Approval of the plan, which affects 92 properties, is the first step in the company’s bid to get the 166 malls it put into Chapter 11 in April out of bankruptcy. The deal extends the due dates on the mortgages by several years in return for various payments. If Judge Allan Gropper confirms the plan, the properties could emerge from bankruptcy court by the end of the year. While approval of the plan would represent a significant milestone for General Growth, the country’s second-largest mall operator still must strike similar pacts with lenders on another $11.7 billion of debt. The Chicago company, which owns and manages more than 200 U.S. malls in 44 states, filed for Chapter 11 protection in April after failing to refinance a portion of its $27 billion debt as it came due. Office-what? Competition from Staples and Office Depot is driving this smaller retailer out of business- and fast. Also not helping: employee lawsuits, mail-in-rebate lawsuits, overpriced items. They laid off 2800 last year, but it hasn’t helped their income. Pier 1 closed 100 stores and has spent the last year making promises of change, but the ongoing housing collapse caught them like a deer in the headlights. Now, the retailer believes it has a solution; investors are clearly not as convinced. People are putting off purchasing furniture and the store has fallen off consumer radar.